Sorry about the eyeless 10. I was lazy. The 10 head is clearly made for this body and the MDD. The fit and size is pretty much spot on. Yayoi was made for this body but her head is considerably larger, it gaps below the chin and it wobbles around if you shake the doll. 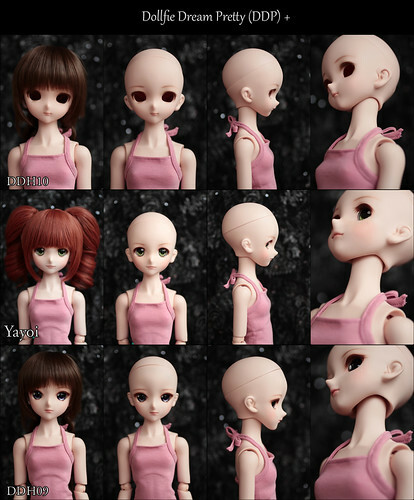 It's beyond me why Volks made the head so large and not fitting on the body it was made for (because if you upgrade the head is a bit on the small-ish side on a DDS body, though the neck fit is great). The 09 head is even larger, the neck hole is deep and it gaps in every direction. It's not at all flattering with the neck tilted anywhere because you can see the gap -and it wobbles like crazy.